This year's regular conference Pedologické dny 2019 named Soil, an integral part of ecosystems will focus on soil functions in ecosystems, including its ability to retain water and nutrients. At present, soils are under strong anthropogenic pressure amplified by progressive global climate change, which in turn affects the functioning of ecosystems and the provision of ecosystem services. On the other hand, soils have great potential for greenhouse gas mitigation through soil organic matter sequestration. However, without improving soil quality and reducing land degradation, it is not possible to ensure the functioning of ecosystems or the sustainable development of human society in a rapidly changing environment. That is why this year’s regular conference Pedologické dny 2019 named Soil, an integral part of ecosystems will focus on soil functions in ecosystems, including its ability to retain water and nutrients. It is inherently linked to the content and quality of soil organic matter, including its living and most dynamic component – soil biota, which provides the transformation of nutrients and the formation of stable organic matter. 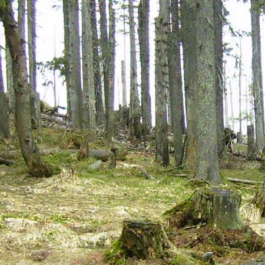 The conference will focus primarily on the issue of forest soils, not only because forests are currently undergoing the most turbulent transformation in modern history, but also because the site of conference location is associated with perhaps the largest forest complexes in the Czech Republic. The main topics of the conference will be: (1) Soil as part of the ecosystem, (2) Soils of natural and production forests, (3) Soil and water, (4) Soil is full of life and (5) Soil databases and GIS tools. The novelty will be the English section covering the above mentioned circuits.